GRIET, since its inception in the year 1997, has strived to adopt innovative practices to improve the learning environment. Promote time-bound solutions and product development culture among the students and staff of GRIET. Promote the culture of standardised documentation and quality consciousness among the students and staff of GRIET. Provide industries with cost-effective solutions to the nagging problems in their products. 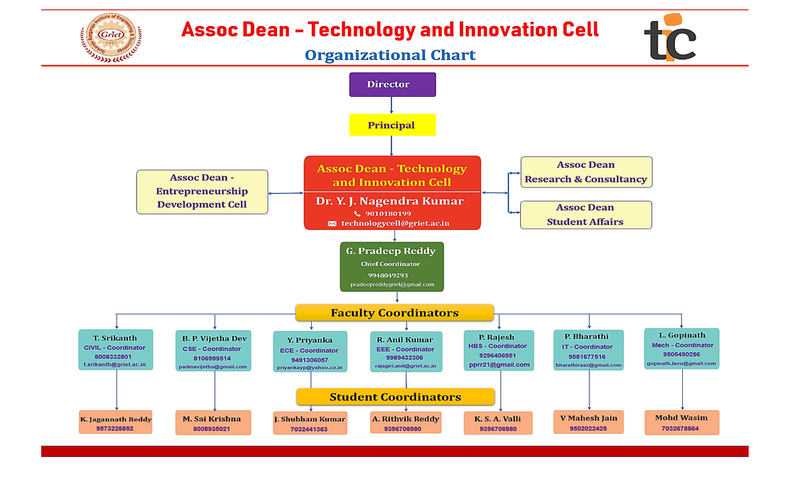 Associate Dean of Technology and Innovation Cell (ADTIC) is overall responsible for promoting knowledge based and technology driven start-ups by harnessing young minds and their innovation potential in an academic environment. To provide advancements in basic and applied areas of science, engineering and technology to students to become active partners in the economic development process. To motivate, support and mentor students for identification, development and commercialization of innovative ideas. 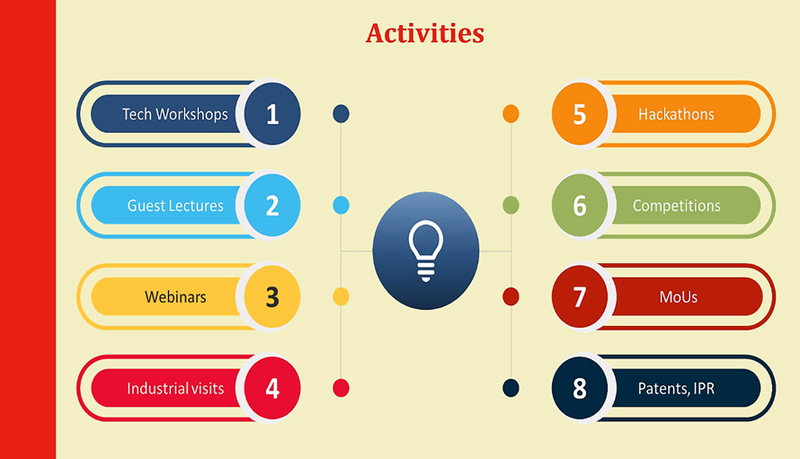 To promote Technical Workshops, Technical Competitions, Seminars, Guest Lectures, Industrial Visits and Webinars. 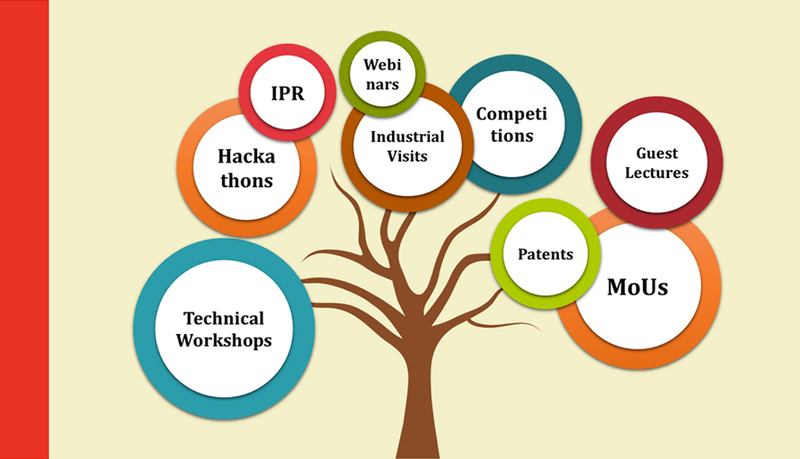 To conduct Business plan Competitions, Innovation Camps, Hackathons with active involvement of Industry and Alumni. To identify and target innovative student projects (Mini and Major) for new Product Development. To emphasize on MoUs with Industry, Academia, NGOs to jointly exchange their expertise for mutual benefit and growth. To provide guidance, support and resources to the researchers, innovators and creators. 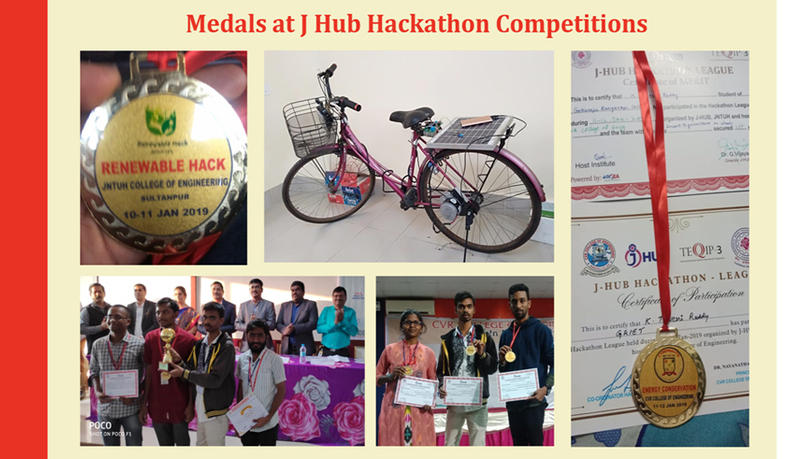 To provide a platform, which gives various opportunities to show and enhance Technical talents at State, National and International levels.